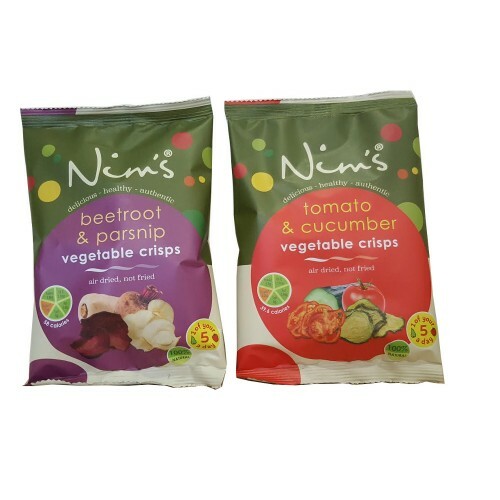 Vegetable Crisps from Nim's. Air Dried 100% natural and one of your 5 a day. Choose from Beetroot & Parsnip or Tomato & Cucumber from our drop down menue. 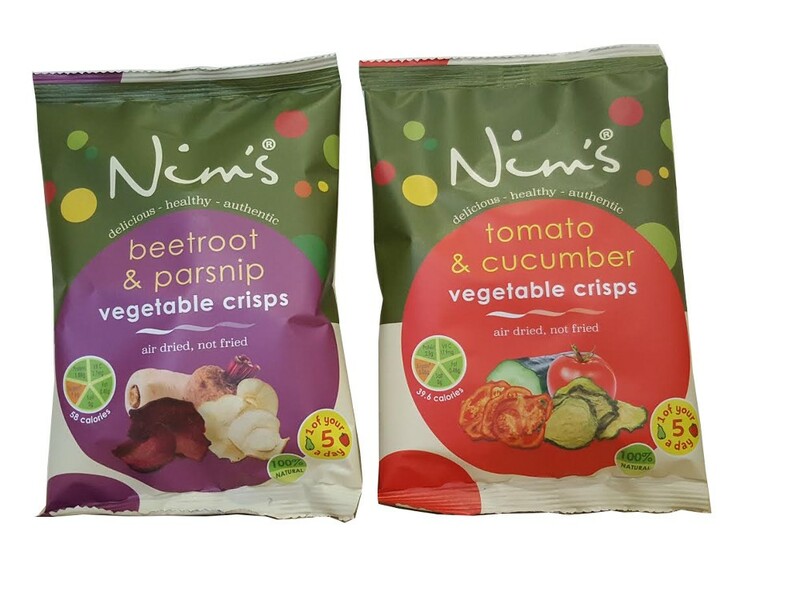 Vegetable Crisps from Nim's. Each bag is under 60 calories.